Professional Hair Salon Shampoo Chair, Beauty Chair, Salon Furnishings - High quality Taiwan Professional Hair Salon Shampoo Chair, Beauty Chair, Salon Furnishings provides by Jean-Modern's Ind. Co., Ltd. Luxury and durable Styling chair, with reasonable price. Color can be set based on customer requirements. Attractive Design. OEM and ODM service provided. 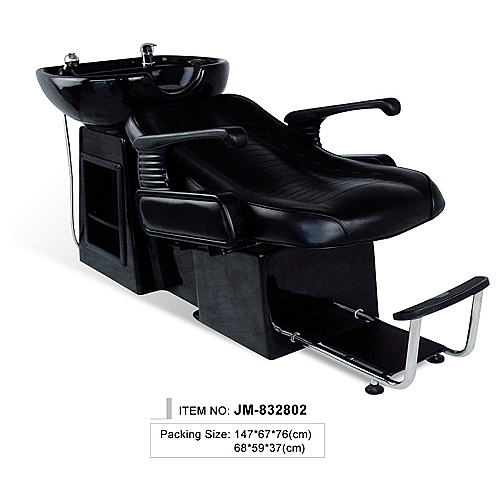 We also Produce a Wide Range of Other Salon Equipments, Barber Chair, Shampoo Chair/Bed, Styling Mirror, Facial Bed, Massage Table, Haircutting Stool. Let us Know the Product Lines of Your Interest, so That we Can offer You our Best Prices. OEM and ODM Service Provided.